This par-71 golf course is a treat for those golfers who simply want an relaxing round of golf. The straight, fun-to-play 18-holes of our River Course are a pleasure to play for golfers of every skill level. The added challenge of water and sand spice things up for more experienced golfers while at the same time presenting a veritable obstacle course for our novice players. If you are looking for a fair challenge of your skills, come play the University Course at Cypress Tree Golf Club. The gentle slopes and tricky bends of this par-72 course guarantee there will be plenty of "friendly" competition among the members of your party. Like the River Course, the University Course incorporates a number of water hazards and sand traps. Please call 334-263-7587 for current rates. * Proceed thru 2 traffic lights, turn left at the third one which dead-ends. Continue straight ahead approx 1.5 miles and follow signs to Maxwell AFB Bell St. Gate and veer right at the light (raod splits here). Ahead is the Bell Street Entrance & Visitor Center. * After proceeding throught the Bell St. Gate, continue through the light and get into the right lane. Follow the right lane as it veers right and continues to a stop sign at the end of the flag row. Turn left onto the "Circle Rd." and continue for approx. 1/2 mile and follow signs to "Golf Course." At the next stop sign begin looking for a parking space. The clubhouse is on the opposite corner. * From I-65 heading south, take the Clay St. exit. Stay in the left lane. * Circle back following the Maxwell AFB signs. * Turn left onto Bell St., and continue approx. 1 mile to the Bell St Gate entrance. * Proceed thru 2 traffic lights, turn left at the third one which dead-ends. Continue straight ahead approx 1.5 miles and follow signs to Maxwell AFB Bell St. Gate and veer right at the light (road splits here). Ahead is the Bell Street Entrance & Visitor Center. Call 334-263-7587 for rates and tee times. Contact Cypress Tree Golf Course at 334-263-7587 for more information and details on holding a golf outing at the course. 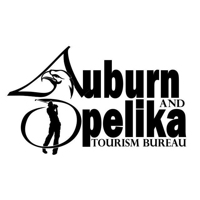 Contact Cypress Tree Golf Course at 334-263-7587. Contact Cypress Tree Golf Course at 334-263-7587 for onsite or nearby dining options. This profile was last updated on 10/24/2018 and has been viewed 7,702 times.